A man from New York was so upset when the Senate voted to confirm the Supreme Court former judge- and now- Justice Brett Kavanaugh but unfortunately he channeled his frustrations to violence. He threatened to assault and murder two Republican senators who voted to confirm President Trump’s nominee. Now he has to face the consequences of his actions following his arrest and the filing of charges against him. 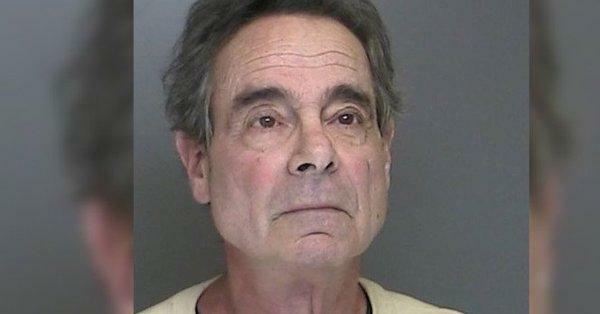 74-year-old Ronald DeRisi of Smithtown, New York , has been charged in federal court in the Eastern District of New York for the threats he issued against the two unnamed Republican senators. Court documents say most of the calls were placed using a prepaid cell phone. Apparently, it wasn’t the first time DeRisi issued threats over the phone. He was arrested in 2015 for also making threatening messages against someone. He pleaded guilty in Nassau County that year to one count off aggravated harassment, for repeatedly calling his target’s office more than 15 times, and leaving threatening voicemails. He was also arrested for another violation in 2011- cutting cables on a cell tower. He looks like he wanders around aimlessly like he’s a zombie who obeys their master. Like Bob Hope said, “Democrats”! Accusations do not a guilty make. Evidence matters. The Constitution matters. Your rights matter!! Do unto others as you would have them do unto you. THE GOLDEN RULE MATTERS!! !